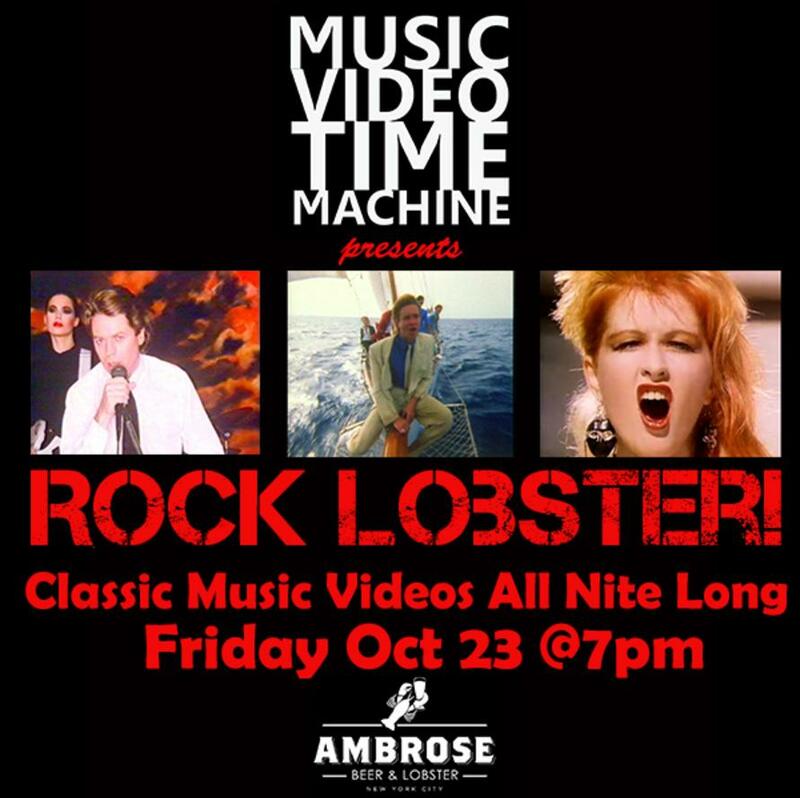 Since MUSIC VIDEO TIME MACHINE will be putting on ROCK LOBSTER!, a classic music video night at South Street Seaport’s hotspot Ambrose Beer & Lobster in NYC, I thought I’d take this opportunity to document a few seafood connections in the Golden Age of Music Video’s food-video library. Pardon me if these are a stretch, but hey, we’re here for the halibut! Where would we be without the world’s greatest party band and their ode to marine life? There goes a narwhal! Dave Malone & Company’s tribute to Cajun crawfish ingestion even features their own mudbug recipe at 1:59. The Piano Man’s lament of a disappearing way of life involves the plight of Long Island fisherman. A downeaster, perhaps. A downer, definitely. And they are trying to catch dinner for thousands. Who eats the fish’s head? Not me. I’m not really sure why I even tried to do this. Anyway, check out Bill Paxton in this vintage Dr. Demento fave. I mean, does this even count? In that case, I’d put Shark Tale on here too, if that version of “Lady Marmalade” wasn’t so bad….. Anyway, you can come see plenty of 80s music videos, both seafood-y and not, at ROCK LOBSTER! Friday Oct 23rd 7pm at Ambrose Beer & Lobster in NYC.